Vegetable juicing may be a great solution for a lot of people. In fact, a simple glass can give you all the benefits of a full plates worth of vegetables. What could be easier? Juicing is a quick, easy way to get your daily servings of vegetables. Many valuable nutrients such as mineral and vitamins are absorbed by the body from vegetables. Raw vegetables are used for the juicing, so no nutrients are lost through cooking. This is why it is important to make your own juice fresh and not use the processed juice that comes in the store. Many of those are processed with heat and will not supply the same level of nutrients. If you add all the pulp back into the juice, you also get the benefits of the dietary fiber that vegetables provide you. This fiber is necessary for effective digestion and keeping the bowels regular. Fiber can also help you lose or maintain weight. Vegetables contain anti-oxidants, and other agents that can help prevent cancer and other diseases from happening. This is especially true for the green leafy vegetables. 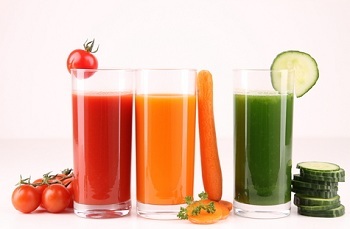 Most vegetables can be used to juice, and you will have to find the combination you like the best. Adding certain beans can provide you protein along with the other nutrients vegetables offer you. Also, a high quality, soy protein will give you the same effect and keep the vegetable theme in the juice. 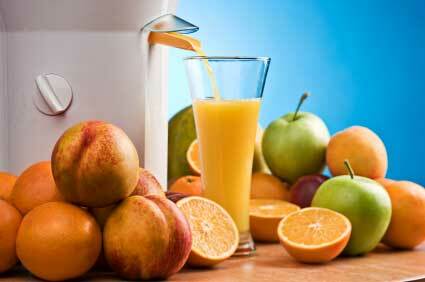 After making your juice, consume it within about 30 minutes to get the full nutrients from it. After that time period, it will lose some of its potency. Never make more at one time than you can drink quickly afterwards. To add even more nutrition, put fruit into your vegetable juice. Apples, citrus fruits and more can offer some natural sweetness, anti-oxidants and vitamin C, among other things to your juice. Some unique combinations can be created this way. What Equipment is needed to Properly Juice Vegetables and Fruits? You don’t need a special juicer to do properly do your juicing. However, many of these machines are capable of grinding up the whole vegetable to extract juice and pulp from it. This makes it much easier to get the juice you want quickly and efficiently. If it is not too much work you are more likely to juice more often. So check various brands and choose a high-quality one. You are not going to be able to do the same type of juice with a blender. Invest in something that will last a long time and make it easier to incorporate juicing into even the busiest schedule.